Aromatherapy Diploma UK accreditation is something you may be considering if you wish to widen the holistic therapies that you already offer or are setting up your own aromatherapy business. There are numerous reasons to consider a diploma in these situations. However, one of the key reasons is the peace of mind it gives clients. It demonstrates that you have undergone rigorous training and have the skills, the experience and the expertise needed to support them. This is particularly true if you have undertaken an IFPA aromatherapy diploma, as it also means that you have reach the standards required by the International Federation of Professional Aromatherapists. Given the importance of IPFA accreditation, the first thing to look for in an aromatherapy school is registration with the IPFA. The school should be accredited by this professional body; and the aromatherapy diploma in the UK that you are considering should be run in line with their regulations and guidelines. Another key element of a good school is one that offers a range of courses and diplomas, meaning you can choose one that specifically meets your needs. Choosing a school that offers a range of learning options is also beneficial. If you are working, for instance, then home study via the internet can be helpful. 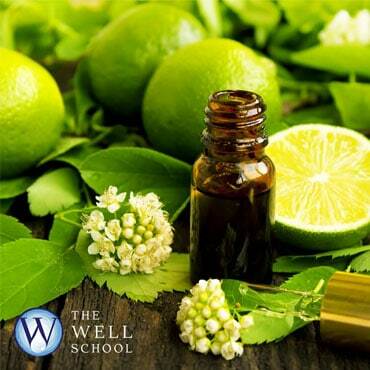 At The Well School, you will find the right aromatherapy diploma UK based course for you. We are fully accredited with the IFPA and all our courses are taught to the highest possible standards. Students can study online in their own time and only complete the examination when we feel they are ready. If you are unsure which of our amazing courses is right for you, then leave a message and your contact details on our contact form at https://www.thewellschool.co.uk/contact-us/ and one of the team will get back to you. Alternatively, give us a call on 01280 875405 and we will walk through the options with you.